The number of people privately dealing with mental health issues will stun you. It’s why alumni Brandon and Michi Marshall launched Project 375 — to make mental health the most important topic of conversation you have today. 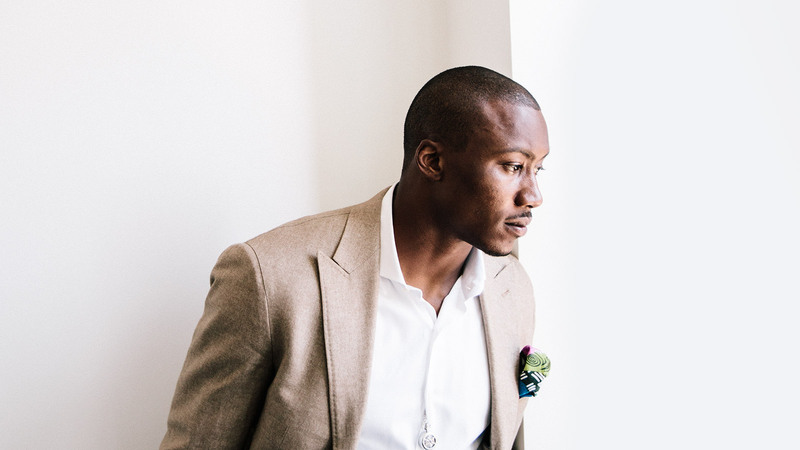 Brandon Marshall ’06 wants it known from the start: This story should not be about him. In fact, he’s reluctant to be interviewed. It would be too easy to get sidetracked and talk about football and numbers and media coverage and … him. That’s what happens when you’re a legendary UCF player, a six-time Pro Bowl selection in the NFL, and the first receiver in NFL history with six 100-catch seasons. And there we go, reviewing those types of statistics rather than diving into the one that matters most to Brandon and his wife, Michi (Nogami) Marshall ’06: According to the National Alliance on Mental Illness, about 1 in 5 people in the U.S. live with a mental health disorder. Quietly. Alone. In class. At work. One in 5. In 2017, UCF became the first university to officially partner with Project 375, which trains educators and students in Youth Mental Health First Aid Training so they can assist in identifying people with mental health challenges and lead them to help. Imagine how many students and teachers could learn to notice what’s really under the masks. How can we approach that girl and say, “I see you”? Flaky. Grumpy. Moody. We’ve all made judgments about people, which is why Project 375 targets schools, where assumptions are still being shaped. We have to tell Brandon’s story. But it has to be told with Michi because without her there might not be a redeeming theme about mental health and no impetus for Project 375 — just football statistics and negative perceptions. Start with their contrasting childhoods. Brandon grew up in a volatile environment in Pittsburgh, surrounded by alcoholism and crime and family stress. Michi was raised with the guidance of a mother with a doctorate in clinical psychology, learning to understand the behavior of people and how to peel back the veneer. “She always told us, ‘You never know what someone is going through,’” Michi says. In 2006, Brandon saw Michi across the UCF Student Union and told a teammate, “That young lady will be my wife someday.” Michi wasn’t immediately interested because if she had one preconception as an underclassman, it was about athletes “playing games.” Still, she and Brandon became friends. Brandon and Michi Marshall brought Project 375 to campus. The organization has since donated $30,000 to UCF for The Project 375 Graduate Assistant Fellowship, which provides a grant for graduate counseling students to be trained and train UCF students in Youth Mental Health First Aid. Michi finds Brandon to be kindhearted, humble, hardworking — a man who adores his mother and treats Michi like a princess. “He modeled himself after the loving, caring people he wanted to be. I knew he was genuine.” They married in 2010. The great thing we’re learning from Project 375 is how to get beyond the surface and talk about [mental health]. The public scrutiny at that time only made matters worse. The media used negative labels — erratic, sulking, unpredictable — to put Brandon in a box. They attempted to rewrite his story. “It’s the same way we make assumptions about the people around us and think we know everything about them,” Carroll says. When in reality, as Michi’s mom wisely advised, you never know what someone is going through. Michi, who is certified in behavioral forensics and behavioral profiling, encouraged Brandon to talk openly about what he was going through and seek counseling. After meeting with numerous professionals, he finally got an answer at McLean Hospital in Massachusetts where he was diagnosed with borderline personality disorder (BPD). While there, Brandon met others facing similar challenges — doctors, lawyers, businesspeople, teachers and social workers. “You never would have known [they were suffering],” says Brandon. Meeting people from all walks of life who were living with mental illness inspired Brandon to tell the world about his BPD. For a 6-foot-5-inch, 230-pound athlete who combines the moves of a dragonfly with the strength of a freight train, he considers going public about his mental health the biggest play of his life. Other athletes would follow his lead and open up about their own mental health issues, including Arian Foster, Kevin Love, Michael Phelps and Nate Robinson. 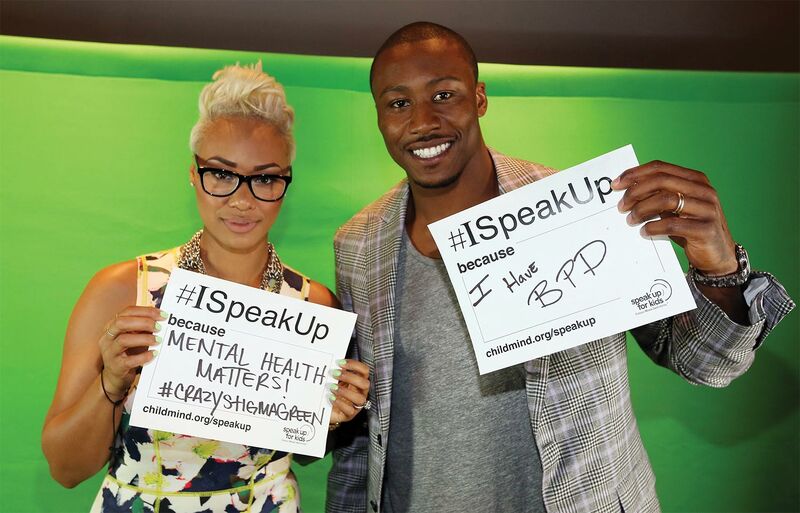 To keep the dialogue going and help eradicate the stigma associated with mental health disorders, Brandon and Michi launched The Brandon Marshall Foundation. But there was a problem. “People were making it about him instead of about the cause,” Michi says. The Project 375 team says the only way we can make progress is if everyone is part of the conversation: the sister, the spouse, the teacher, the classmate, the roommate, the teammate. Everyone. Lives are also being touched more than 2,000 miles from the UCF campus, in Buckeye, Arizona. There, basketball coach and teacher Chad Williams has opened a dialogue about mental health awareness with his players, students and faculty. Thanks to Brandon and Project 375, he has chosen to be proactive rather than reactive. A person in mental health distress might cover their anguish with occasional smiles. They may laugh when everyone else laughs. When they don’t feel like acting “normal,” they may go into isolation. They may quit a once-favorite activity. They may hang out with new friends. They might lose or gain weight or cut themselves. They may sit alone, wondering why they feel this way. One night, at his lowest and loneliest, Williams Googled “famous athletes with mental illness.” The first name to come up was Brandon Marshall. “I read his story and saw the lime green shoes. It humanized where I was, made me realize that I’m not alone, and that the worst thing to do is to push it off to the side,” says Williams. Often, doctors will give a blanket diagnosis like “anxiety” or “depression.” But a specialist can drill deeper to the root and possibly find something more specific, like BPD or, in Williams’ case, bipolar disorder II. Last fall, Williams helped bring Project 375’s Youth Mental Health First Aid Training to his school district. He told the captains of his basketball team why he wears a lime green hoodie. I read his story and saw the lime green shoes. It humanized where I was, made me realize that I’m not alone. Five years ago, Williams went alone to a fundraiser for mental illness. Last year, 30 people joined him, including the captains of his basketball team. “[It was] the high point of my coaching,” he says. For all those years, while he tried to shake free from his own thoughts, he just needed someone to come alongside and allow him to be authentic. Imagine UCF students and faculty becoming more aware of mental health, taking a step closer, and asking, “How are you doing?” with a whole new meaning. When they crossed paths 12 years ago, Brandon and Michi Marshall never would have guessed what they’d be doing at UCF today. Helping people like a classmate and the girl who sits alone. The basketball coach and the football player. Look beneath the surface.